Many readers gave good feedback on my recent 3-part series on partnering with credit card salespeople. I will be addressing this feedback in upcoming articles. A few merchants sent me their provider’s email response after the merchants insisted on interchange-plus pricing. Some of those responses were ridiculous, even laughable, as the providers tried to explain why their tiered pricing, flat rate pricing, flat fee pricing plans, and so on were better for the merchant than interchange plus. If you look at pricing from the provider’s side and you’ll see why these other pricing plans are not better for the merchant than Interchange Plus. In fact, these other pricing plans make it more difficult for the provider to maintain consistent margins on an account. One of my clients is a chain of pizza and wings restaurants. I recently spoke to its accounting staff. They explained that chicken wings are one of the most difficult products in which to maintain a consistent margin. In fact, the product requires constant monitoring. Losses can occur practically overnight. The problem with maintaining margins on chicken wings starts with the fact that the restaurants buy chicken wings by the pound but their clientele requires that they be sold by the piece. Buying a product in one unit and selling in another can cause margin issues in any industry. Maintaining consistent margins on chicken wings is further aggravated by the inconsistent product from distributors. One delivery of wings may have excessive meat on the bone, which the clientele love. However, the extra weight per wing may not only cause margins to fall but could actually cause a loss. The next batch of wings may lack meat, which the clientele dislikes but the margins benefit from it. Finally, chicken wings are a commodity. Their per-pound price can fluctuate, causing margin issues and even losses for the restaurant. 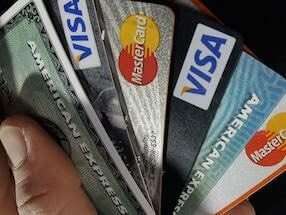 Credit card processing is similar to buying and selling chicken wings, but in reverse. Providers buy credit card processing by the piece and they try to sell it in a different unit — e.g., tiered, flat rate, flat fee — because they don’t how much the next transaction will cost them and they have to account for the changes in wholesale pricing from the card companies. Credit card processing is similar to buying and selling chicken wings, but in reverse. What providers do know is the per-piece cost of every transaction. 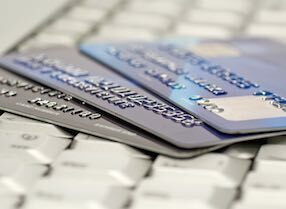 If a consumer buys a product on your ecommerce site with a basic Visa credit card, the provider knows that its per-piece cost is 1.80% + $0.10 for the interchange, 0.13% for the Visa assessment fee, and $0.0195 for the Visa APF fee. If the next consumer buys the same product using a Visa Signature Preferred credit card, the provider knows that the exact per-piece cost is 2.40% + $0.10 for the interchange, 0.13% for the Visa assessment fee, and $0.0195 for the Visa APF fee. If there is an issue with the transaction — such as incomplete data — Visa will charge a “Transaction Integrity Fee.” The provider knows that the exact per-piece cost of this fee is $0.10. In fact, the provider knows the exact per-piece cost of most every transaction — based on the card brand, card type, and type of transaction — because processing cost is sold to them by the piece. Interchange-plus pricing allows the provider to sell processing services to the merchant by the piece, as well. It makes it easy for the provider to calculate its gross revenue and for the merchant to calculate its cost, which is the provider’s gross revenue. Changes in card company wholesale fees do not impact the provider because its pricing is based on the wholesale rates. The increases and decreases in those rates are passed through fairly to the merchant — without guessing or taking advantage of the merchant. Say your company processes $1,000,000 per year in credit card payments and with a $100 average ticket. Assume the rate is 0.10% + $0.10 over published interchange rates and pass-through fees charged by the card companies. In that scenario, the provider’s gross annual revenue is (0.10% x $1,000,000) + ($0.10 x 10,000 transactions) = $2,000. If the provider charges a $15 monthly service fee, that’s an additional $180. The $2,180 is also the cost for merchants. This is the number that merchants need to know when judging their service or soliciting offers from other providers. Think about it. A provider that requires $2,180 in gross annual revenue on an interchange-plus pricing plan is not likely to accept a “sustainable” gross annual revenue of, say, $1,500 on a different pricing plan. Why Offer Flat Rate Processing? So why do providers offer the other pricing plans? The plans don’t benefit the merchant. They make it more difficult for the provider to calculate its own gross revenue. They could, in fact, reduce a provider’s gross annual revenue in the short term. The answer is simple. Many providers use these other pricing plans to lure unknowledgeable merchants into thinking they are getting a better deal than they really are. These plans also make it easier for the providers to raise the merchant’s rates and fees under the auspices that the card companies have increased their rates and fees. One of merchants I spoke with was offered a flat fee program of $7,500 per month. The merchant currently spends around $8,000 per month for processing, so the flat fee looked intriguing. However, upon closer examination, the provider would lose money at a flat fee of $7,500. This was not a sustainable pricing plan. Providers do not, presumably, run a charity. The offer had all the signs of a teaser rate. Teaser rates often have the hidden purpose of getting merchants to (a) use the provider’s proprietary gateway and its point-of-sale system, (b) lease equipment, and (c) sign a long-term maintenance agreement. Once the provider has the merchant locked in, it’s not only easier for it to increase the processing rates, but it’s also easier to increase the cost on its other services. I suggested to the merchant to have the provider quote the same $7,500 monthly cost, but on an interchange-plus pricing plan. Not surprisingly, the provider wouldn’t do it because it would have to disclose a negative rate and admit that the flat fee was not sustainable. In fact, many providers simply do not want merchants to know their gross annual revenue. Many merchants on these other pricing plans would likely change providers or at least demand better pricing if they knew how much the provider was really making on their business. If a provider tells you that its flat-rate pricing plan is better than interchange plus, try not to laugh. Move on to another provider. Interchange-plus pricing does not guarantee competitive pricing or a reputable provider. Use the tools and methodology in my Practical Ecommerce articles to weed out the unacceptable providers and to obtain a competitive and sustainable cost from the more acceptable ones.